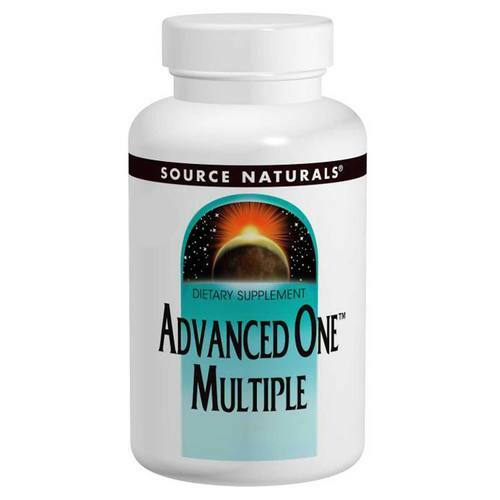 Advanced One Multiple by Source Naturals contains a large number of both vitamins and minerals in the unique formula within this product. This product also comes in 30,60 and 90 tablet quantity increments so that you may choose the best option for you. Warnings: Accidental overdose of iron-containing products is a leading cause of fatal poisoning in children under 6. Keep this product out of the reach of children. In case of accidental overdose, call a doctor or poison control center immediately. Not for use by pregnant or breastfeeding women. Recommended Use: 1 tablet with meal or as recommended by your health care professional.